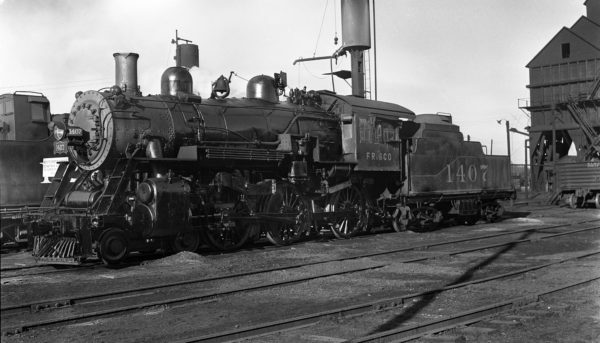 4-6-0 1407 at Monett, Missouri on April 21, 1937. 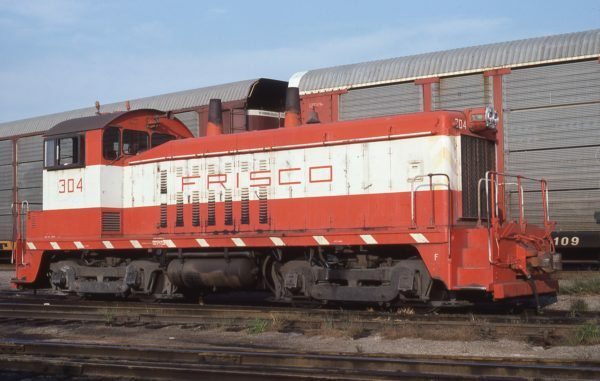 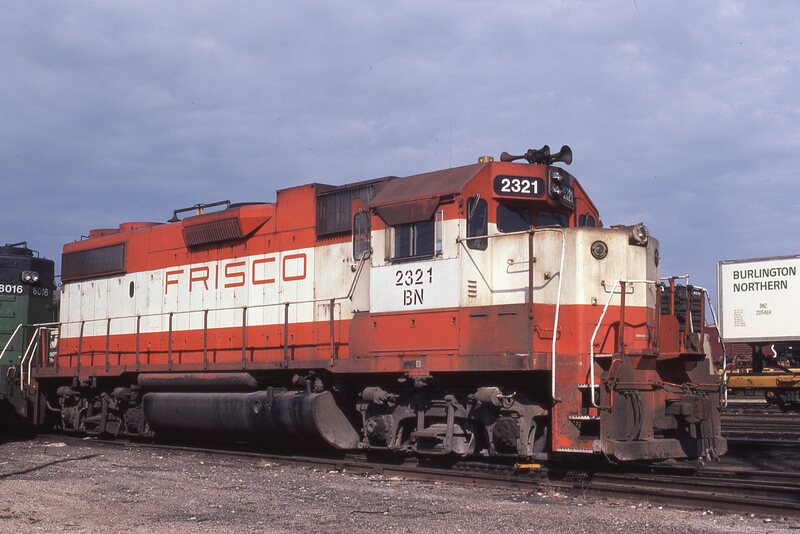 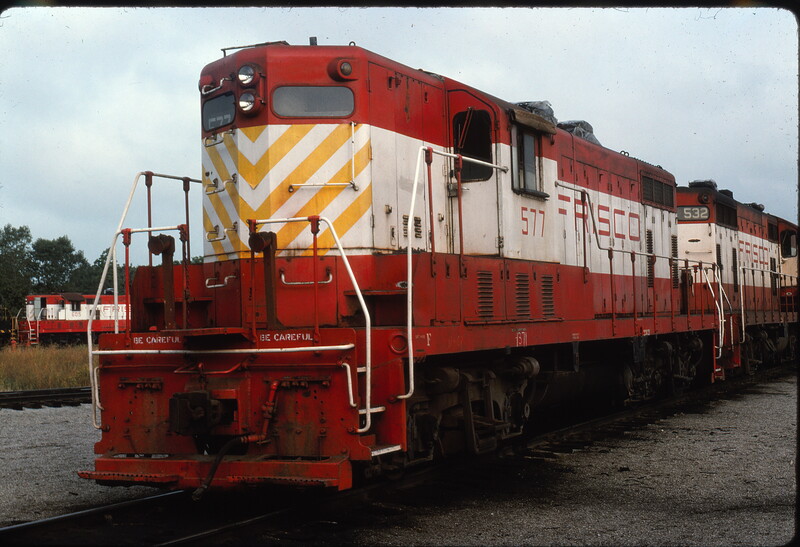 GP38-2 2321 (Frisco 466) at St. Louis, Missouri in July 1981 (Hugh Blaney). GP7s 577, 532 and 605 at Oelwein, Iowa in August 1976 (John Luckfield). 4-6-4 1066 at Springfield, Missouri on December 2, 1951 (Arthur B. Johnson). 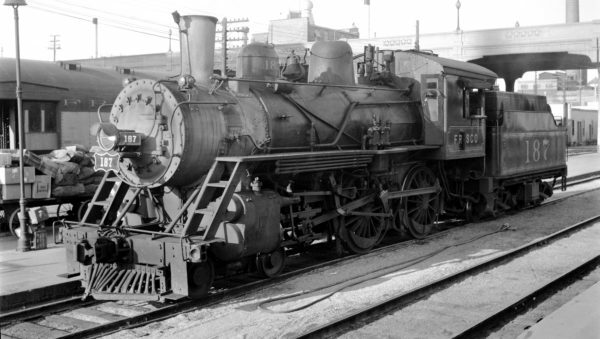 This locomotive was built a 4-6-2 by Baldwin in 1917 and rebuilt as a 4-6-4 in the Frisco shops. U25B 805 (date and location unknown). 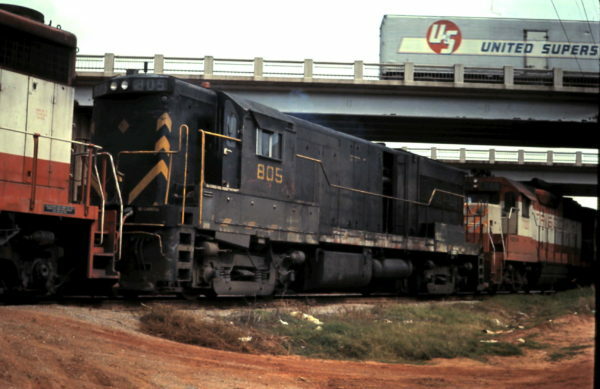 SW7 304 at St. Louis, Missouri in September 1980. 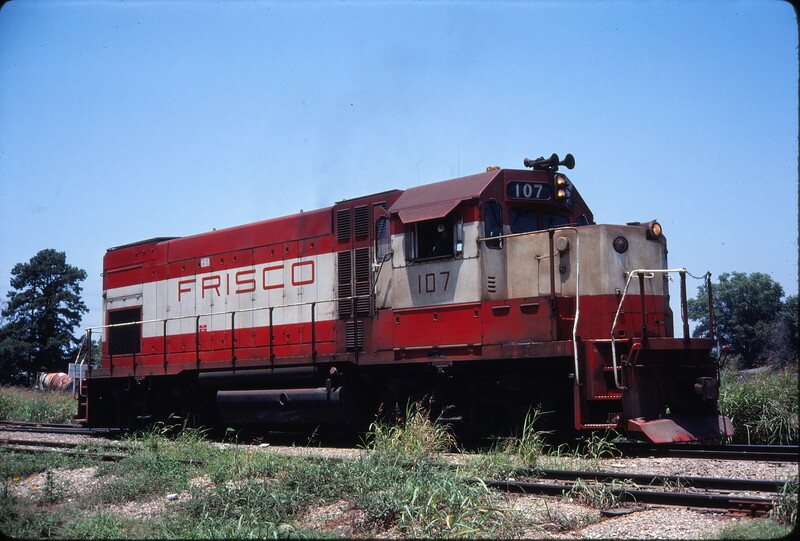 GP15 107 (location unknown) in September 1979. 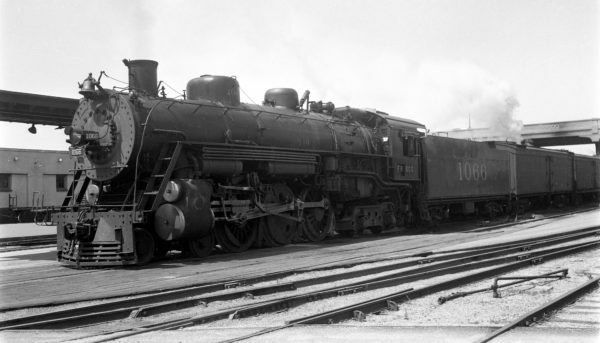 4-4-0 187 at Springfield, Missouri on July 10, 1948 (Arthur B. Johnson). 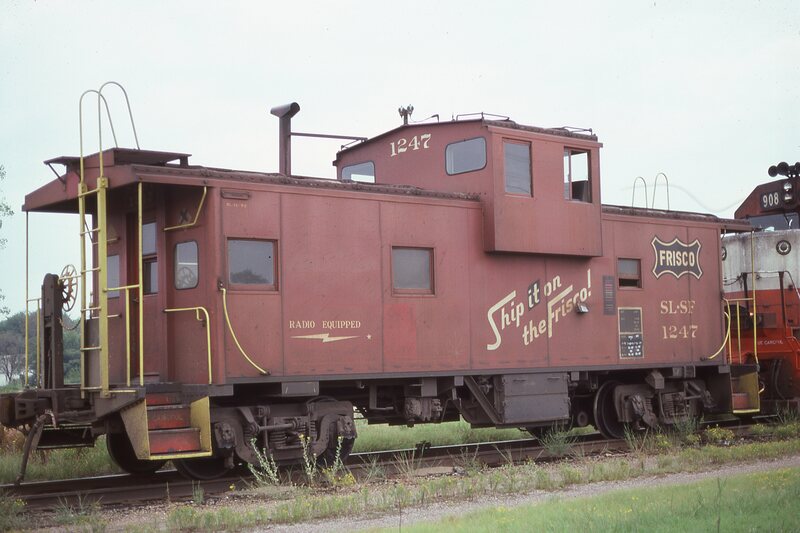 Caboose 1247 at Chelsea, Oklahoma on August 19, 1977. 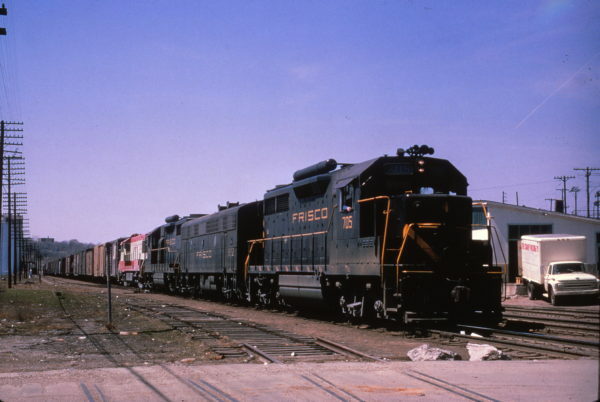 GP35 705 leads a freight at Kansas City, Missouri on April 16, 1965 (Al Chione).